(TibetanReview.net, Dec 28, 2014) – China has raised more than five-fold its official aid to Nepal, with the two countries agreeing to enhance cooperation in nine vital areas, including energy, security, infrastructure development and connectivity, and with the former reiterating its call for cracking down on Tibetans entering Nepal or living in it, according to several news reports over Dec 26-27. 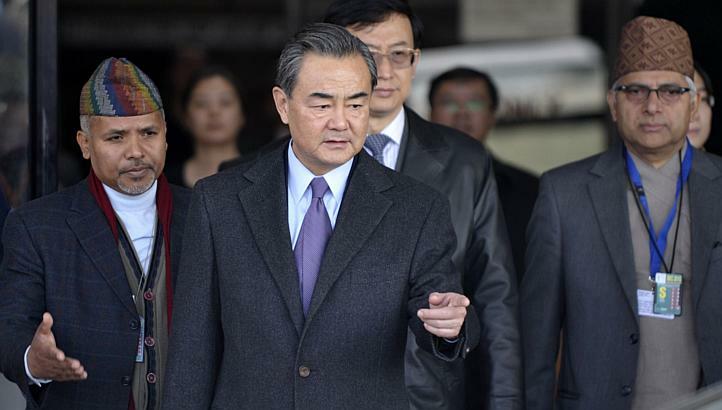 The announcement came after talks between Chinese foreign minister Wang Yi and his Nepali counterpart Mahendra Bahadur Pandey in Kathmandu on Dec 26. China sought Nepal’s firm commitment on cracking down on Tibetans who try to cross Nepal border damaging Chinese interest in Tibet Autonomous Region, reported thehimalayantimes.com Dec 26. “We have some common security concerns. For instance, we need to crack down on illegal border crossing and transnational crimes,” the report quoted Wang as saying during a joint press conference after the talks. For this purpose China is building an Armed Police Force Academy for Nepal as a special gift. Along with Deputy Prime Minister and Home Minister Bamdev Gautam, Wang laid the foundation stone for the Nepali Rs 3 billion (about 185 million RMB) Academy building alongside a function in APF Headquarters in Halchowk, the report said. In a commentary on the visit, China’s official Xinhua news agency said Dec 27 that Wang expressed gratitude to Nepal for its firm and precious support in China’s core interests including the issue of Tibet. Following Wang’s visit, China’s aid to the Himalayan nation, announced after the talks, will rise from the present level of US$24 million to US$128 million in 2015-16, reported timesofindia.indiatimes.com Dec 26.